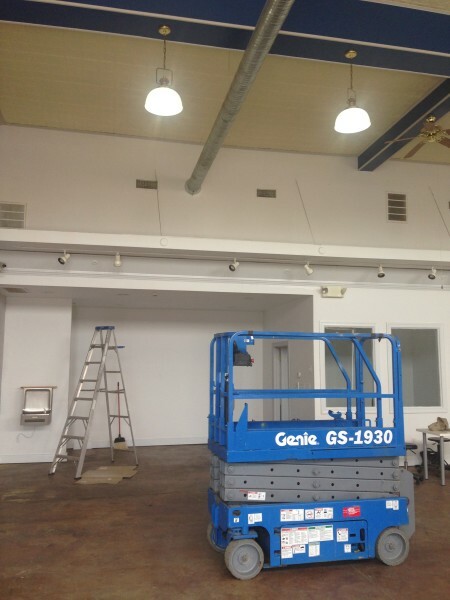 Making progress on preparing to open the new gallery space. Thank you Fat Dragon for lending us the lift! All of the blue trim is being painted white, ugly brown fans replaced, and track lighting installed. Opening before long!